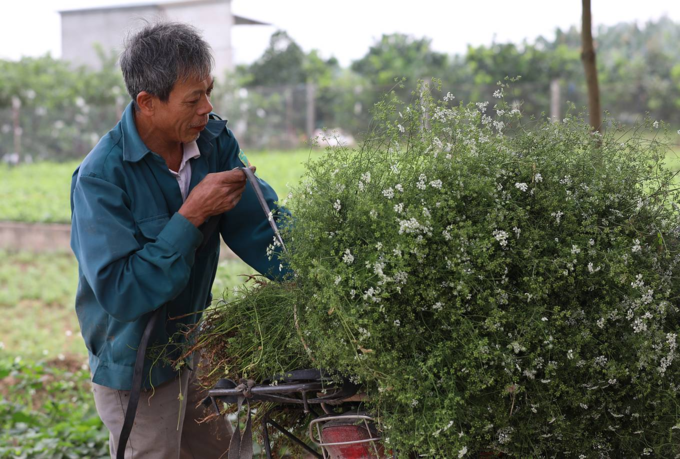 People, especially in northern Vietnam, believe that a bath using coriander leaves removes misfortunates of the past. 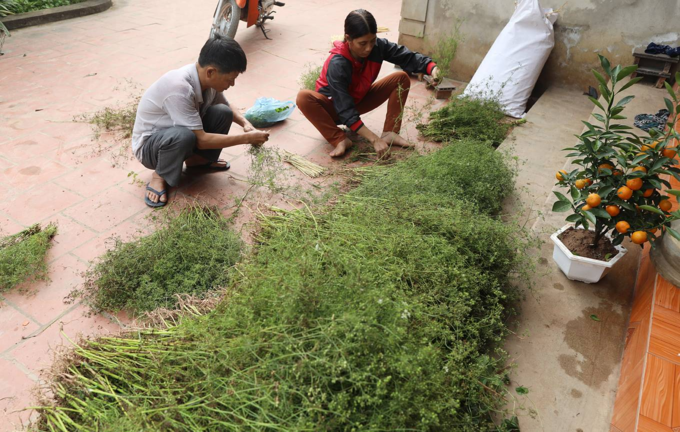 Hoach An in Thanh Oai District is the only village in Hanoi that continues to commercially grow coriander with nearly 40 households cultivating the spice during Tet, the Lunar New Year. The festival, the country’s most important by far, involves many rituals that are believed to dissipate the sorrows and misfortunes of the old year and welcome good things in the new. Bathing in coriander-filled water is one of them. It is believed to wash off all unclean and impure things and is done on the last day of the old year. 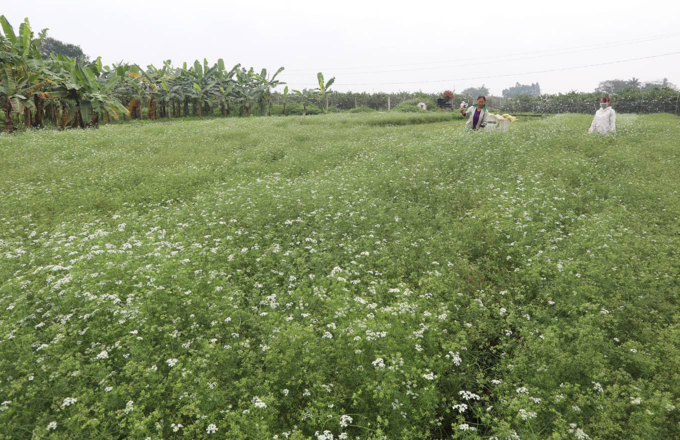 Coriander is an apiaceae species which is grown in the ninth lunar month in this village. After around two months, the tree grows to about 60 cm, with flowers and fruits. Part of the harvest is saved for the next crop, the rest is sold. The root, stem, leaves and fruits are aromatic. The plant is grown in medium to heavy soil. It can be harvested easily by hand without the need for tools. Harvesting is usually done on the last three days of the old lunar year. "If the tree grows well, it will have a large, tall and grainy body," Tran Thi Tuyen, a local says. 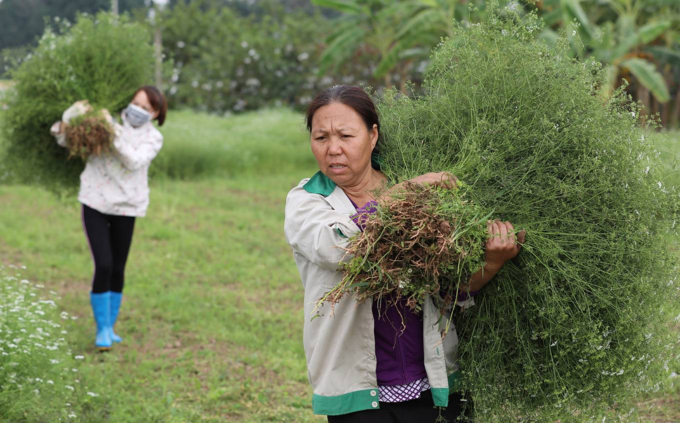 "Each acre yields a pound of coriander and we earn about VND5 million ($215) from it." The road to Hoach An village is filled with the plant’s aroma. 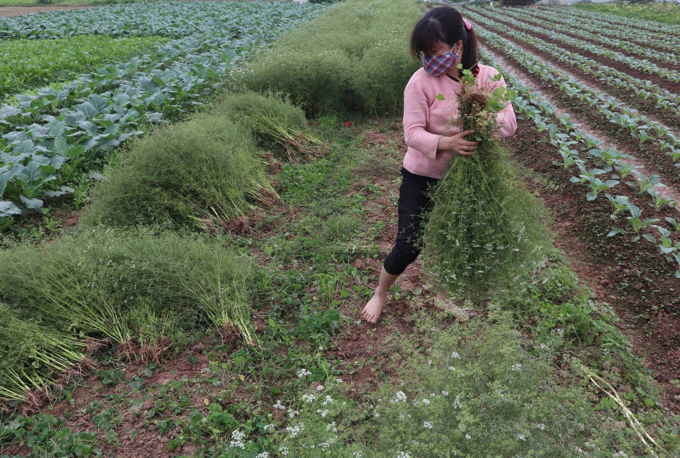 After harvesting, people remove weeds and old and withered plants, and tie up the good plants in small bundles. 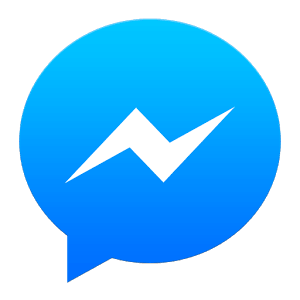 A bundle has a wholesale price of VND1,000 (less than five U.S. cents). 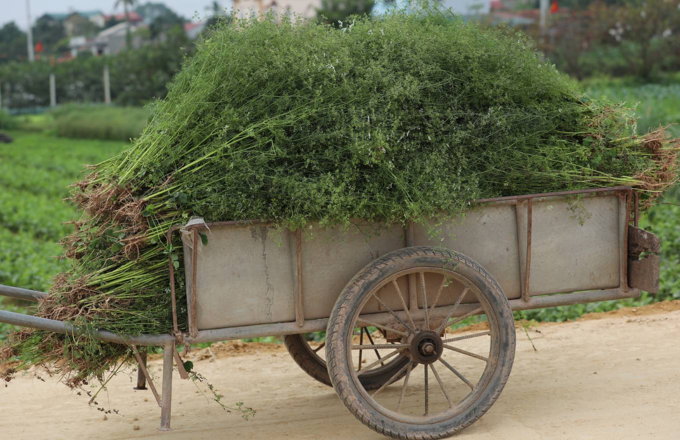 At 1 a.m. dozens of households bring coriander to the wholesale market in Ha Dong District, 10 km from downtown Hanoi. 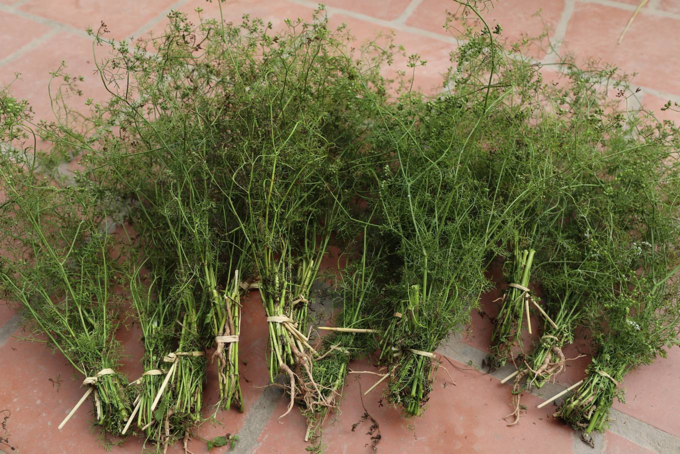 Coriander is also highly valued in traditional medicine. 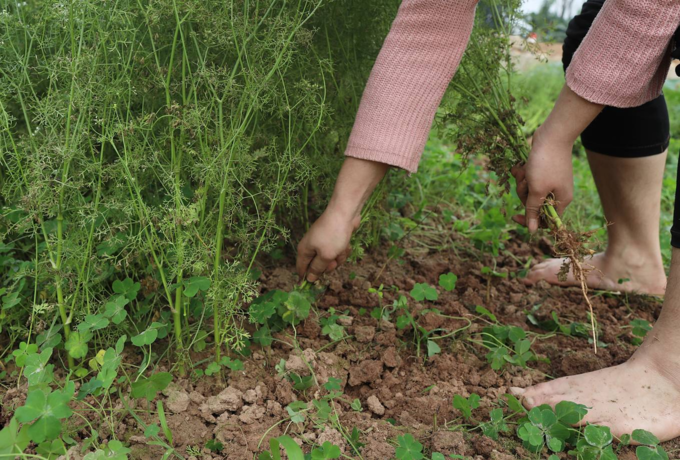 According to the Oriental Medicine Association, coriander stems and seeds are medicinal herbs. 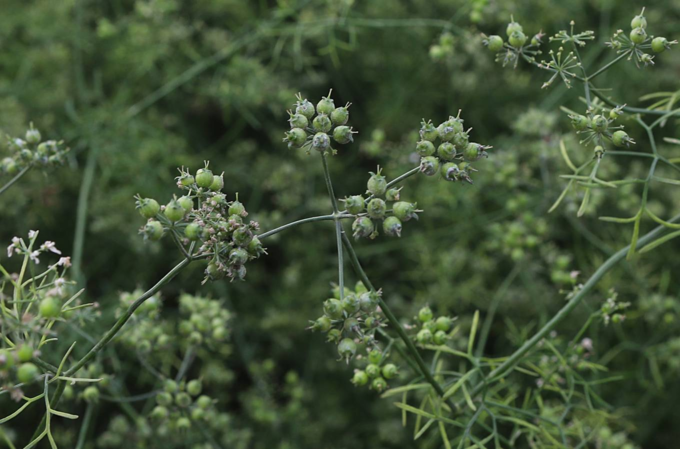 The seeds are spicy, and bathing in mature coriander plants provides relief from colds. It also detoxes the body and prevents and cures measles.